This model, the 2018 Easton Ghost X USA Baseball Bat (YBB18GX5), features a 2 5/8-inch barrel diameter, a drop 5 length to weight ratio, and the new USA Baseball stamp right below the barrel. With a loaded swing weight, this Easton Ghost X is intended for use by both contact hitters and power hitters. 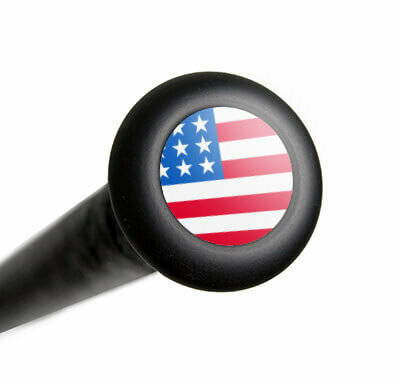 Step up to the plate with confidence and order one of these USA baseball bats today with free shipping right here at JustBats.com. Remember, we'll be here for you from click to hit! Pros: Great feel! We just went from a 30 20 -10. New Bat rule. We went to the 30 25 -5. I was a little worried about the extra 5 ounces and load at end, but wow! He began swinging the bat beautifully (a little slower) but ok. He just went 3/3 in Fall Ball and if you connect, that ball is gone!!! Cons: Stings the hands, no jump off the bat, inferior to USSSA. These new rules are awful. I honestly may get my son a wood bat to use instead. Pros: well balanced, looks good, no issues with durability so far. Cons: Vibrates on hands and stings a lot when hit on the sweet spot. Sting wearing away as my son uses the bat. Must use batting gloves to decrease the sting on hands. Pros: Generally not an Easton fan and not a fan of multi-piece bats. But it appears they are using some of the tech they got by purchasing Combat to extend the bat length and there is minimal whipping action on this 2 piece version....which can be a problem for kids with fast swing speeds on other 2 or 3 piece bats. No, the ball not going as far as a USSSA bat, but it still goes plenty far. And that has zero to do with this bat, so not logical to rate this bat low because of it. And any parent that thinks they should just go wood bat is not being rational. The ball is still leaving the bat with a lot more velocity than it will off a wood bat. Only reason to go wood is if you play in wood leagues or want to save money. My son feels this bat feels quite balanced and not end weighted and felt zero sting. Not sure why others are getting sting. But we used it in rather cold weather (50's) and still no sting. Sweat spot is very similar to Combat, which is a compliment. Cons: The price. Very expensive bat. Pros: Packs a huge punch. Our team is lucky enough to have 2 Ghost-Xs that the kids share. We have my son's 32" -5 and -8 and a -11. Everyone has one that fits their swing. This team is made up of '04 kids (13-14). The 32" -5 is fantastic for him and one other kid as they are the two biggest kids. Not for everyone as it is a heavy bat but if the kid can handle it 5*. The ball flies off it when you barrel it up! Cons: It is a huge weapon in the 32" -5. Just make sure your kid can swing it easily because it is a lot of money to waste. Pros: No issues with durability. Cons: No pop compared to USSSA. Anyone confused on what to buy- Only buy USAbats if you HAVE to! Cons: terrible in every other respect, no pop, no balance.....your kid is better off using a wet 2x4 to hit with.....the worst i have seen out of the new reg bats. We have purchased a lot of easton gear over the years but this is highway robbery.....truly a bad bat. Have a question about the 2018 Easton Ghost X -5 USA Baseball Bat: YBB18GX5? Ask our team of experts and they will respond within 24 hours. This bat says it's approved for Babe Ruth. Under this year's rules it would not as full composite must be -3 BBCOR. Do you know if Babe Ruth are changing rules, so this bat will be acceptable for 2018? The 2018 Easton Ghost X -5 USA Baseball Bat (YBB18GX5) is legal. It contains the USA stamp that verifies it being legal. BBCOR must be a -3. However USA can be a -5. Babe Ruth is shifting toward the USA bat stamp. Again, this bat is legal for Babe Ruth in 2018. Is the Easton Ghost X USA constructed the same as the Easton Ghost X USSSA? The performance of the USSSA model will be better than the USA model due to the difference in performance restrictions between the two organizations. The USA model will perform closer to a wood bat. Basic construction is very similar, but the walls of the USA model are much thicker. So this bat does not have the 1.15 BPF stamp? Is the USA stamp replacing that? Or do you know if there are still leagues requiring the 1.15 stamp also? The 2018 Easton Ghost X -5 USA Baseball Bat: YBB18GX5 will feature the USA stamp. These bats are not replacing the USSSA models featuring the 1.15 BPF unless one plays in a league governed by Little League, Dixie, Pony, Cal Ripken, Babe Ruth, Dizzy Dean or AABC. Players in travel ball leagues, which are typically governed by USSSA, will still be allowed to use bats with the USSSA and 1.15 BPF markings. As with anything, always best to check with league officials to learn more about any specific bat rules they may be implementing for your league. Will this bat be available in 31'? The 2018 Easton Ghost X -5 USA Baseball Bat: YBB18GX5 will be available in the 31" size, we just currently do not have them in stock. Is this bat dixie approved? Yes, the 2018 Easton Ghost X -5 USA Baseball Bat: YBB18GX5 is approved for play in Dixie Youth Leagues. Is this USSSA approved? Not trying spend $350+ and not use it. The 2018 Easton Ghost X -5 USA Baseball Bat: YBB18GX5 features the USA bat stamp but can be used in USSSA leagues. Might be more beneficial to get the 2018 Easton Ghost X -5 Senior League Baseball Bat: SL18GX5 as this is the bat with the USSSA stamp and will be a hotter bat on contact. Is this bat legal for the Pony Division (13-14years old) in Pony Baseball, or do you have to swing a BBCOR? The 2018 Easton Ghost X -5 USA Baseball Bat: YBB18GX5 is legal for the Pony Division. Your player will start swinging BBCOR baseball bats when he reaches the High School level. Jumping from a drop 8 to a drop 5 is very natural for a player as the goal is to reach a drop 3 by high school. Moving to a drop 5 is a good plan as long as the player is ready for it. A drop 5 will allow him to get stronger and put more force behind the ball. The drop 5 will be an adjustment, his swing speed will be a little bit slower and the drive will be less as well. However, once he gets used to the weight, the ball will have more force behind it than if he stuck with a drop 8. Is there a "USA" bat made in the USA? The 2018 Easton Ghost X -5 USA Baseball Bat: YBB18GX5 is built in China. There are some DeMarini models that state "designed and built in the USA" but not sure if everything is done stateside though from start to finish. Do you know if Easton or any of the other bat manufacturers will make the new USA bats in drop 5's longer than 32"? The 2018 Easton Ghost X -5 USA Baseball Bat: YBB18GX5 will not be made in a 33 inch model. The 33 inch -5 models were not as commonly used in the USSSA and so to save cost the companies did not make any USA models in a 33 inch length. Could be something they make down the road but more than likely 32 inch models is where they max out at. How does this bat compare to the new Easton Ghost -5 (SL18GX58) as far as swing feel is concerned? Which has better pop? This 2018 Easton Ghost X -5 USA Baseball Bat (YBB18GX5) features the USA Baseball Bat certification that will be required for specific leagues in 2018 (Little League, Pony, Babe Ruth, etc...). The Easton Ghost -5 (SL18GX58) will feature USSSA 1.15 certification (this bat would be allowed for all tourney and league play governed under USSSA bat rules). Both of these bats will feature an end-loaded swing feel. However, the better performing bat will be the Easton Ghost -5 (SL18GX58) that features USSSA 1.15 certification. Before buying a bat, I would recommend checking with your league to ensure you are purchasing a bat that is permitted in your league. I'm looking at the Ghost X -5 and -8 bats for my son who will be 12 in the spring. He's 5'8" and weighs 130 lbs. His swing has good speed and power. Would you expect much difference in perceived power between the -5 and -8 bats? How would they compare in performance to the -10 bat? A drop 8 and a drop 5 are fine for your player. Moving to a heavier bat can make it difficult for a short time until the player adjusts to the new weight. The heavier bats will be more durable and have very similar performance. The performance factor is the same between all the bats. I"m 13 my height is 5"5 and I weigh 130lbs. Do I go with 32? I would go with a 32'' in the 2018 Easton Ghost X -5 USA Baseball Bat: YBB18GX5 based off of your height and weight. Is this bat considered BBCOR and accepted for middle school play? The 2018 Easton Ghost X -5 USA Baseball Bat: YBB18GX5 will not be BBCOR certified, but would be legal for Middle School Little League. What is the difference between the Easton Ghost and the Beast? The 2018 Easton Ghost X -5 USA Baseball Bat: YBB18GX5 is a two piece composite bat, whereas the 2018 Easton Beast X -5 USA Baseball Bat: YBB18BX5 is of one piece alloy construction. The 2018 Easton Ghost X -5 USA Baseball Bat (YBB18GX5) has a 2 5/8" barrel diameter. My son is 5"4' and 175 lbs, used a -10 31/21 last year. With the new bats I'm totally lost on what to purchase this year, any suggestions? Based on your son's height and weight, we would recommend getting the 2018 Easton Ghost X -5 USA Baseball Bat: YBB18GX5 in a 32 inch model. With the new USA bats there is not going to be a significance difference in terms of performance from one bat to the next. This model will be slightly end-loaded so as long as a player likes the feel of a bat with more weight towards the end of the barrel then this would be a great bat to get. What is the BPF on this bat? Unfortunately, the USA rated bats like this 2018 Easton Ghost X -5 USA Baseball Bat (YBB18GX5) are not rated in regard to the BPF scale. Because of that, there is not a BPF rating for these bats. Is this the best USA bat or just preference? My son is 13 and weighs 146 and is 5' 6". He is moving from a wood bat league to a drop 5 or BBCOR drop 3 league. He will in this league for 1 year and then will move to BBCOR drop 3. Please let me know the best bat and size for him. Would the Omaha Ghost X -5 be a good bat? If deciding between a -5 or a -3 bat, it really comes down to personal preference. Purchasing a -5 means it might be better now, since the lighter weight would be a bit easier to handle, but you will not be allowed to use it once he goes to BBCOR, so you would only have the bat for one year. I would probably recommend a BBCOR if you are not wanting to purchase 2 bats in 2 years. Some good options would be the Marucci Cat 7, the Easton Ghost X, or the Louisville Slugger Prime 918 for BBCOR. I play Little League baseball. Is the Easton Ghost X -5 banned from our league? No, this 2018 Easton Ghost X -5 USA Baseball Bat (YBB18GX5) is legal for use in all sizes (30"/25 oz - 31"/26 oz - 32"/27 oz) for use in Little League Baseball. I play for Little League baseball, is the Easton Ghost X -5 banned from our league? The 2018 Easton Ghost X -5 USA Baseball Bat: YBB18GX5 is a legal bat to use in Little League. The 30/20 of the 2018 Easton Ghost X -10 USA Baseball Bat: YBB18GX10 was the size/bat that was banned. 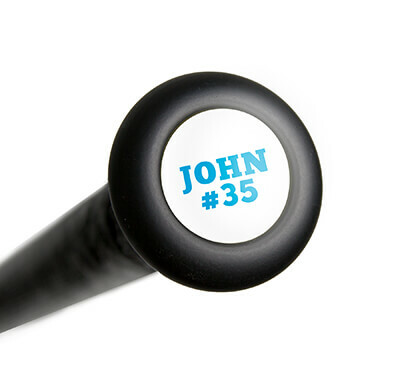 This is the 4th or 5th bat to order with you all over the years. I always love your website and it is very user friendly.